Denny's research interests are within the nexus of security studies, migration and media. 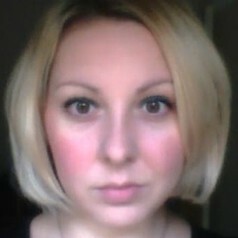 She has recently completed her PhD in Politics at the University of Bristol, which examined the media portrayal of Bulgarians and Romanians through the lens of securitisation. Denny has worked on academic projects related to posted workers in the UK and the EU, and on identity politics in the Balkans. Outside academia, she has conducted research for non-governmental actors on the topics of EU border control policies, irregular migration and integration policies. Denny has also worked in the Communication and Public Information unit at UNHCR Central Europe (stationed in Sofia, Bulgaria). In terms of regional expertise, Denny's work has focused on the UK, Scandinavia, Central and Eastern Europe, and the Balkans.